Does Evidence Suggest Robert Mueller Did Not Know The Special Counsel's Investigation Was Ending Last Friday? - Smackdown! Last Tuesday, 3/19/2019, on “The Rachel Maddow Show”, Rachel discussed a filing by the Special Councel’s office that was made that day requesting an extension of time to file a response to a motion in Paul Manafort’s case. The reason cited for their request was because, “The counsel responsible for preparing the response face the press of other work and require additional time to consult within the government.” Rachel muses as to why they would need this additional time, and does suggest that this could be a clue that the Russian investigation is coming to an end. 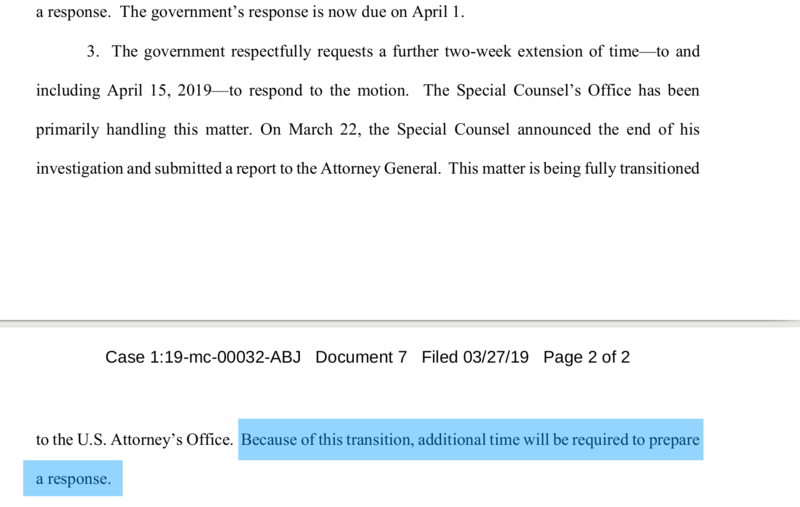 This suggests, of course, that they had no idea on Tuesday, March 19th, when they originally requested the extension, that the entire investigation would be over just a mere 3 days later, and if they didn’t know, then that begs the question: what exactly caused the investigation to end?